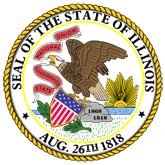 Illinois Long Term Care Ombudsman Program : protecting, advocating and promoting residents' rights. Brochure describes how to protect, advocate and promote the rights and quality of life for those who reside in long term care facilities. Revised 10/03. 1. Illinois Long Term Care Ombudsman Program (20060826183710_OMBUDS_BROCHURE.pdf).